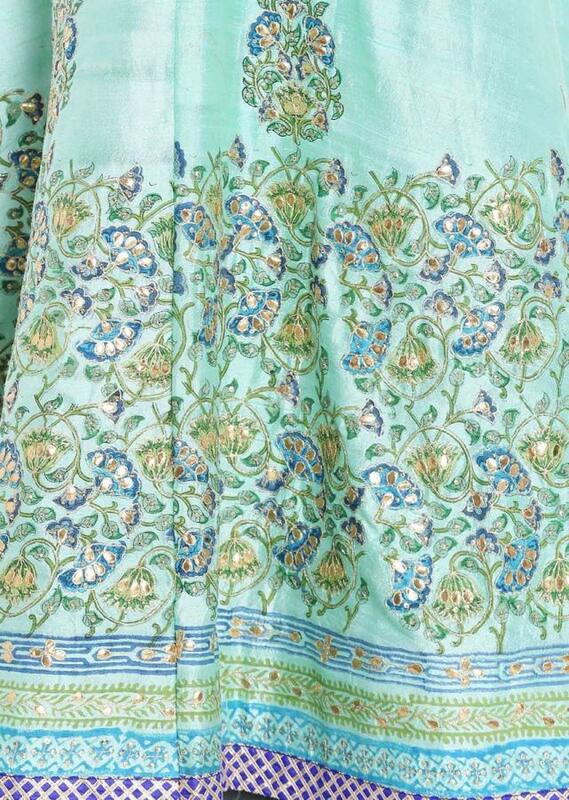 Turq blue lehegna featuring in raw silk. 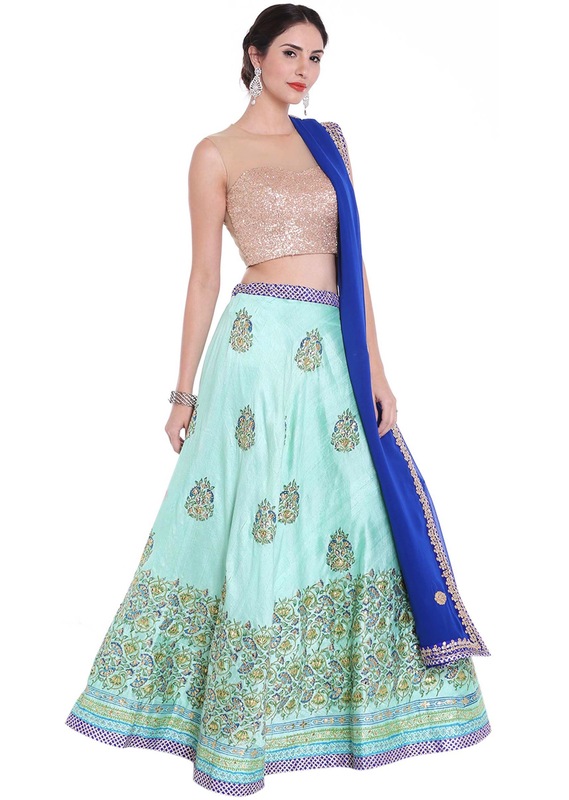 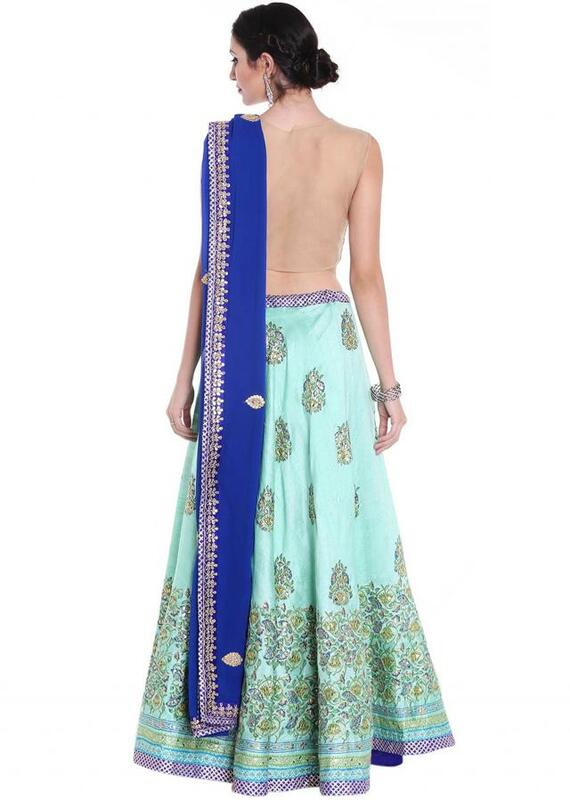 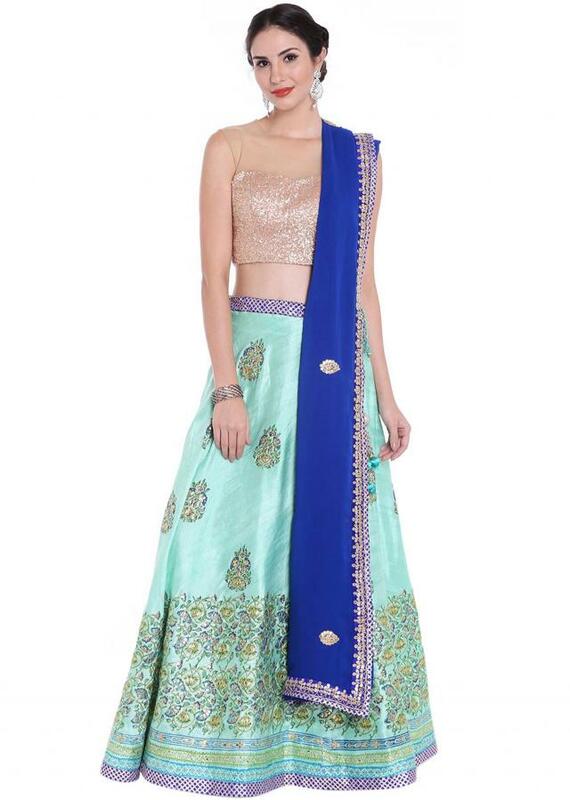 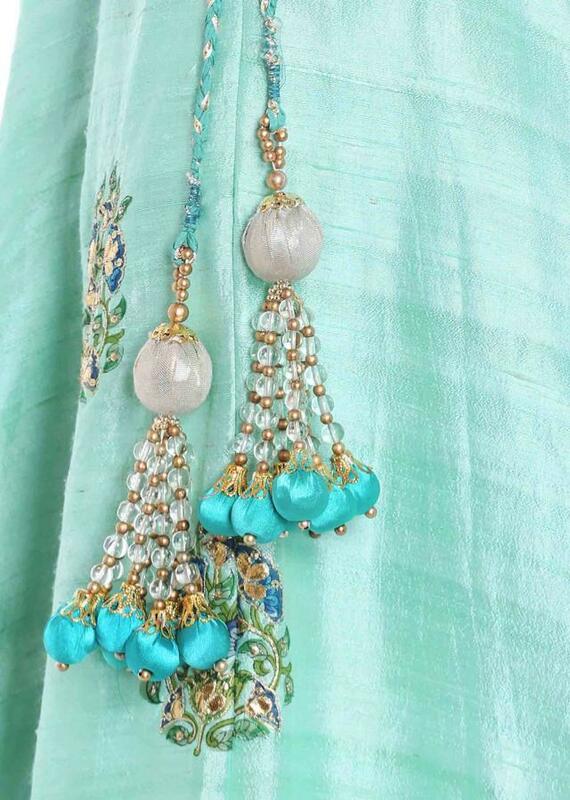 Embellished in resham and gotta patch embroidered butti. 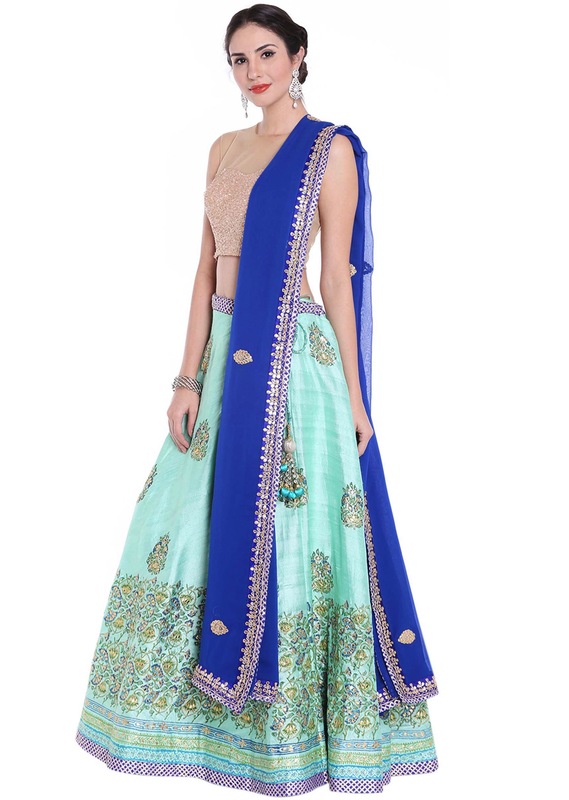 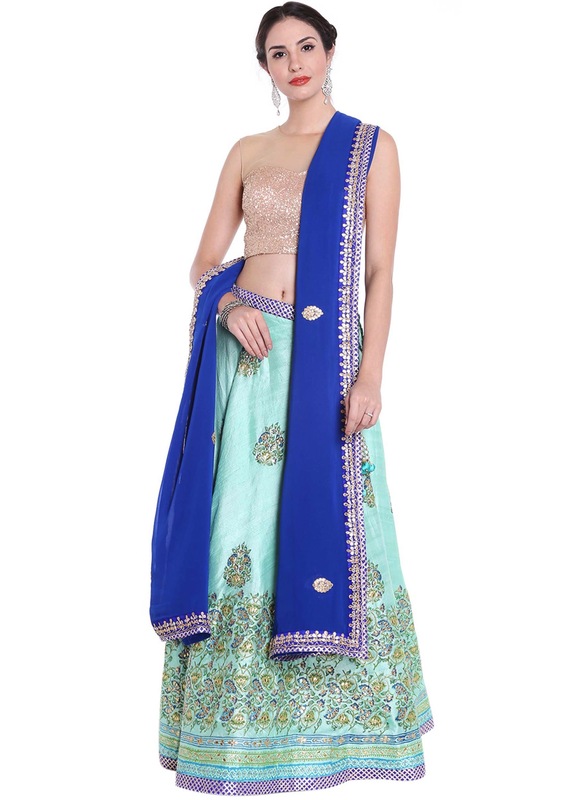 Matched with unstitched blouse and royal blue dupatta in georgette.